This is a book that I rented from Overdrive, and I am so glad that I didn’t waste my own money on it. The protagonist, Hawthorn, acted like a twelve-year-old for the entirety of the novel. 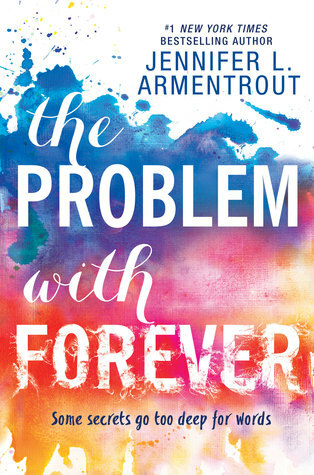 It was very stand-offish to read a YA book that had somebody who acted like a middle schooler as the main character. She was never focused on anything, except obsessing over Lizzie Lovett. She was rude, inconsiderate, childish and didn’t take anything seriously. She was vengeful and misunderstanding. Frankly, she treated the characters around her like trash and they didn’t deserve to be treated that way. She was self-obsessed and self-absorbed and the only thing that stopped her from thinking about herself was her ridiculous fantasies. Furthermore, all of the characters were flat. The was no development beyond ‘mean popular girl’ or ‘outcast best friend’ or ‘professor dad’ and ‘hippie mom’. The only interactions between Hawthorn and her father felt forced. It was as though the dad existed to fill a role, not to be a character. 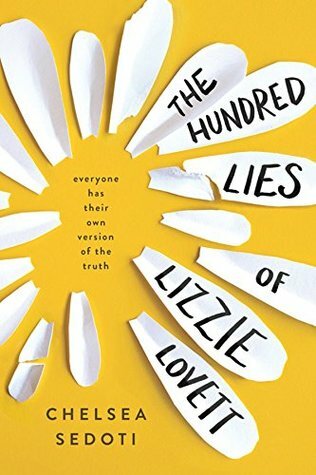 The title for this work should have been “Probably Maybe” because it was written more times than the words “Lizzie Lovett”. To be honest, I’m not sure how this work was published, let alone how it has a 3.25 overall Goodreads rating. When I first started this book, I listened to the audio version, I was excited. The prologue was full of action and intrigue and made me want to continue on and learn more about the characters. And then the actual story started. First off, I noticed that the prologue was in third-person and the rest of the story was in first-person. That threw me off. I thought that there was maybe something wrong with the audiobook. I was really excited for the storyline to continue through from the prologue, but it almost instantly took a different turn. It took over half of the book to figure out what had happened to the main character, Malory, through segmented flashbacks. The flashbacks connected to the prologue, which was good and bad. Good because there was a connection between the actual story and the very beginning. Bad because the flashbacks were choppy and incomplete, a contrast to the straightforwardness of the prologue. It should not take over half of a book to understand why the protagonist is the way they are. I wanted to know far sooner. I was also looking forward to this being a coming of age story that came full circle. That did not happen. It was rather slow and turned into a love story and I don’t think it ever came full circle. I feel like half of the book could have been cut out and it would have been the same story, that’s how excessive and slow it was. Overall, the beginning was great and super intriguing, but the slowness and the falling back into typical love story YA cliches ruined the book for me. And my obsession with Wonder Woman continues! I have wanted to read this book since the second I discovered it was coming out. And I was not let down. ‘Wonder Woman: Warbringer’ shows a different Diana and Themyscira than the one that Patty Jenkins showed us in the movie. We see more of this ‘Cult Island,’ as it is called, and we learn more about the Amazon way of life, rules, and regulations. The Amazons and their culture is more developed than in the movie. I really enjoyed seeing Diana in this light, and I don’t want to spoil anything so I won’t develop that any further. 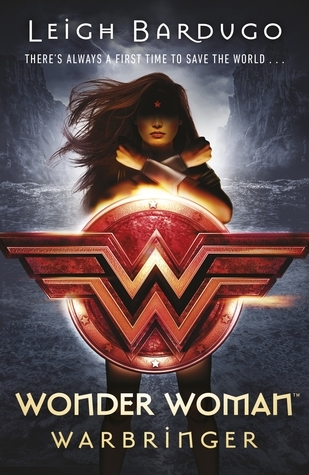 In ‘Wonder Woman: Warbringer’ Diana is innocent. But she is also a kid; seventeen to be exact. She fights being the youngest of her people and being a teenager in modern day New York. That is something that I really enjoyed about the read, Diana was relatable in a way that isn’t really relatable. She doesn’t know how to work a smartphone, has never seen anything plastic, and has never flown in an airplane…but the way she feels about all of these new things is so relatable because we’ve all been there and experienced new things. The ending was a twist that even I wasn’t expecting, and I’m pretty good at expecting twists. And that’s exactly what brought this book to five stars. The writing was well done, the characters well developed, which I enjoyed. But the twist ending worked. It didn’t seem far-fetched and fit character personalities. The twist ending was a real make it or break it moment; depending on how Leigh Bardugo handled the situation it could have gone off the rails and ruined the entire novel. But it didn’t. It tied it together really well and mended my heart (that had shattered a few pages beforehand). Over 5/5 stars for a well-written ending that knew it’s characters. Now, I don’t just give out five-star ratings. But I absorbed this book. I first spotted it about a month and a half ago at a bookstore and finally purchased it yesterday. I read the first three chapters last night before bed and finished it just a few moments ago, in only twenty-five hours. Instantly gripping and constantly compelling, this book was a rollercoaster of a ride. At first, I was a little bit frustrated because there were parts that were a mystery and all I wanted to know was the answer. As I continued to read I was transfixed (it’s cram-before-exams week in college, to give up any time is a rarity, so you know this is an honest review). I fell for all of the characters, even those who aren’t protagonists. I felt that the depiction of high school was a bit exaggerated, but the language and thought process of the characters seemed incredibly accurate. McGinnis did an incredible job making me care about the characters so much so that I cried at the end; she painted villains as heroes and did a good chunk of storytelling through dialogue. 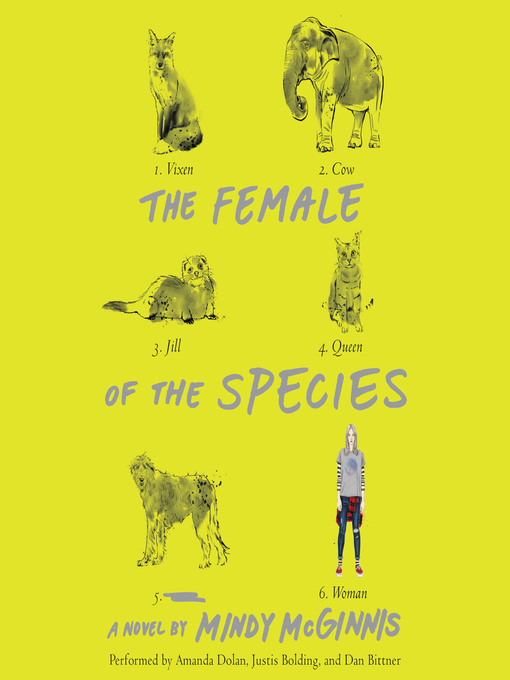 Though the topics of the book are a bit on the heavy side, and some passages can be triggering to some audiences, The Female of the Species is a pretty easy read, the longest chapter wasn’t more than five pages. McGinnis did justice to the split point of view narration, developing each protagonist in their own way and making sure that none of their personalities blurred together. While reading, I never felt like any part of the book was over the top or unbelievable and writing something like this could have easily gone that way. So, thanks to lottelikesbooks’ Instagram, I found this cool little list titled Meet the Reader. As a writer, I’m naturally a reader and I thought that I’d fill this out and pass it along for those who want to get to know me. (a) How many books can you read at once? Probably 3 or four, depending on what the books are. (b) What’s your favorite reading drink? I don’t tend to drink anything when I’m reading simply because I’m likely to spill it all over my book and I find that tragic. If I do have a drink though, it’s probably some sort of tea, the best bet being green tea. (c) What’s your favorite reading snack? Same as above, I don’t usually eat anything because then I get food-covered fingerprints all over the pages or crumbs in the binding, but if I do eat anything, it’s either chocolate chips or a snack food like goldfish/Cheez-Itz. (d) How is your bookshelf organized? I usually have it organized in alphabetical order, but I had too many books so I had to organize it by size so I could fit more books in. Paperback, they’re cheaper, more flexible, and cozier. I’m currently reading Watched by C.J. Lyons.